How to get there: See the description under Falketind, 2068 meter. 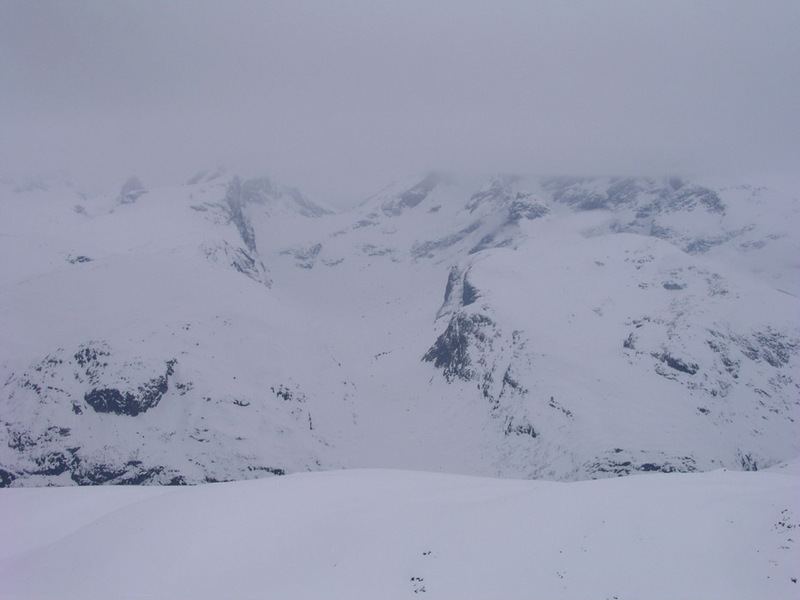 Route description: See the description under Falketind, 2068 meter. 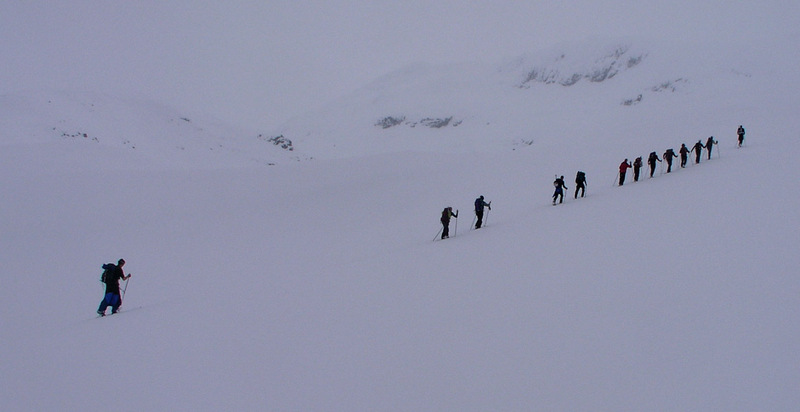 Comments: I did this trip with the mountaineering group in Bergen (DNT Fjellsport Bergen). The climb was a traverse in order to climb Falketind (2068m). We started from the DNT hut Ingjerdbu at 0800, and reached the summit after 4 hours. Note that the M711 map lists this mountain as 1930 meter, however, this is clearly a rock point at the south end of the summit ridge. The summit is a pretty flat ridge covered by ice and snow. My GPS was a few meter low on Falketind, but still measured this ridge to 1937 meter. I therfore list the highest (snow) point on this ridge at 1935 meter. On the way to Stølsnosi. 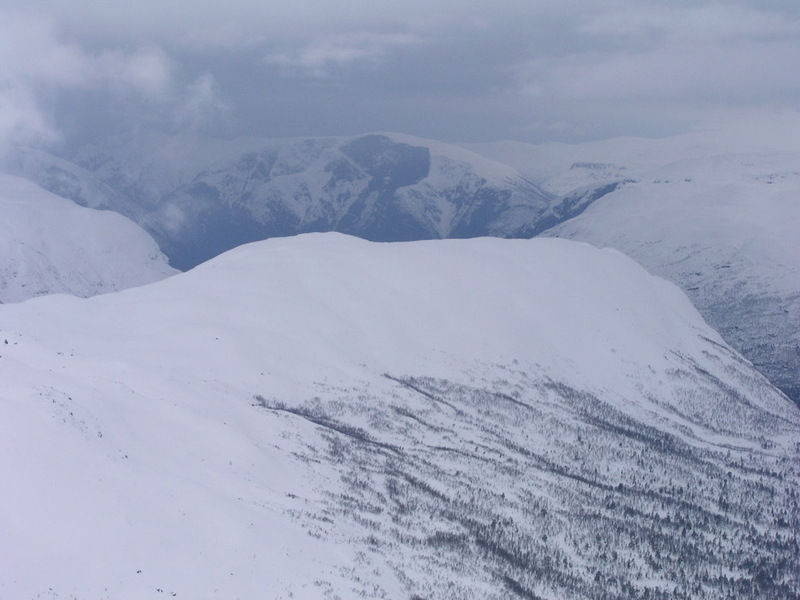 Midtmaradalen, as seen while ascending the west ridge of Stølsnosi. View towards Årdal from the west ridge of Stølsnosi.